Since sizable northern pike have been recently caught near the bottom end of Lake Roosevelt – a giant Columbia River reservoir in Washington, it appears a certainty that they will soon be in the Columbia River below the dam in prime salmon and steelhead country. This Roosevelt Lake northern pike weighed more than 27 pounds. Pete Heley Outdoors 2 / 27 / 2019. Coos County received its first trout plants this week. Altogether 14,000 trout will be planted and all of them will be in the “legal” size classification measuring 8 to 10-inches. The waters being planted are: Bradley Lake (3,000); Johnson Mill Pond (3,000); Powers Pond (3,000); Saunders Lake (3,000) and Mingus Park Pond (2,000). Next week Loon Lake is slated to receive 2,000 legal rainbows. Most area streams have plenty of steelhead in them and fishing success depends primarily on stream conditions as well as fishing skill. Tenmile Creek in the Spin Reel Park area has been fishing especially well the last few weeks and although there hasn’t been fishing pressure directed at Eel Creek, the number of steelhead in the STEP fishtrap would seem to indicate that “steelies” are well-represented in the creek below the trap. When I talked to Curt Thompson at the Flyfishing Expo he insisted on me looking at the video output of the camera located in the fishtrap. Currently, Saunders and Butterfield lakes hold adult steelhead that were recently transported from the Eel Creek fishtrap by STEP volunteers. Winter steelhead are in all of our local streams and fishing success depends on stream conditions in most cases. Two streams that never seem to muddy up are Eel Creek and Tenmile Creek. Eel Creek is extremely “snaggy” and difficult to fish, while Tenmile Creek is the exact opposite and fairly snag free in most sections – and Tenmile Creek has been hot for the last few weeks with fish to 18 pounds taken. Almost all the finclipped, keepable steelhead that ascend Tenmile Creek only do so as far as Eel Creek and then swim up Eel Creek as far as the STEP fishtrap just below Eel Lake. Some of Eel Creek’s steelhead actually spawn in the stream before reaching the fishtrap and some of the preferred spawning sites are inside the several culverts on the stream. By the way, the Lower Umpqua Flycasters’ 29th annual Flyfishing Expo seemed better than ever. The six hour long free show featured the numerous flytying demonstrations and new and used fishing-related items and even more raffles than usual. One item that I forgot to return and purchase was a pair of used Simms neoprene waders in exactly my size for only $20 and my “forgetfullness” will bug me for months. The weigh-in at the “Frostbite Open” was perfectly timed at 3:30 pm – one half hour after the close of the Flyfishing Expo. Miserable cold weather brought out the “doubting thomases”. But as in past years, a substantial portion of the anglers managedto beat the rain and cold water temperatures to post respectacle catches. Out of the 75 two-man teams, 12 posted five bass limits. Nineteen teams weighed in bags weighing more than ten pounds and seven teams weighed in more than 16 pounds of bass while the eighth place team weighed in 15.99 pounds. The winning bag weighed 18.56 pounds and the big bass weighed 6.33 pounds. One angler’s four bass bag weighed 16.70 pounds and if he’d caught one more bass of similar size, his bag weight would have topped 20 pounds. One moment that I’ll remember for a long time was when one participant insisted in weighing one of his two good-sized bass for big fish despite several observers telling him that the other fish looked heavier, So his big bass weighed 4.97 pounds and his three bass bag, including one much smaller fish, weighed well over ten pounds. If he didn’t weigh his heaviest fish for big bass, at some point it will cost him money. Congratulations to Chris Carpenter and Travis Glass who won this tournament and far more than their share of the bass tournaments held in our area over the last several years. Pacific herring showed up in Yaquina Bay and Coos Bay in large numbers last week to spawn and may, in lesser numbers, be spawning in other estuaries as well. On February 28th Bob Free and Steve Godin will attend the ODFW Ocean Salmon Industry Group meeting in Newport – and hopefully have some positive influence on 2019 ocean salmon fishing regulations affecting our area. 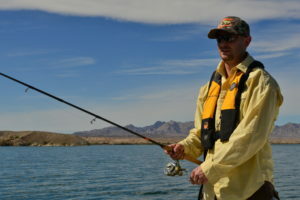 Mann Lake, a popular, if extremely remote fishing spot in southeast Oregon for Lahontan cutthroat trout has dried up and all the fish, including goldfish, have died. More bad news is that an Australian mammal is believed to be the first mammal to become extinct due to human-caused climate change. The Bramble Cay melomys, a brownish type of rat living on the isolated Bramble Cay – a vegetated coral island located at the northern tip of the Great Barrier Reef. It’s recent extinction is believed to be primarily due to rising ocean levels that greatly reduced its available habitat. Some of the other viable fishing spots around Oregon include the upper Columbia River system, the lower Willamette River and Lookout Point Reservoir for jumbo walleyes and the Metolius River Arm of Lake Billy Chinook, which harbors the reservoir’s largest bull trout and opens on March 1st. 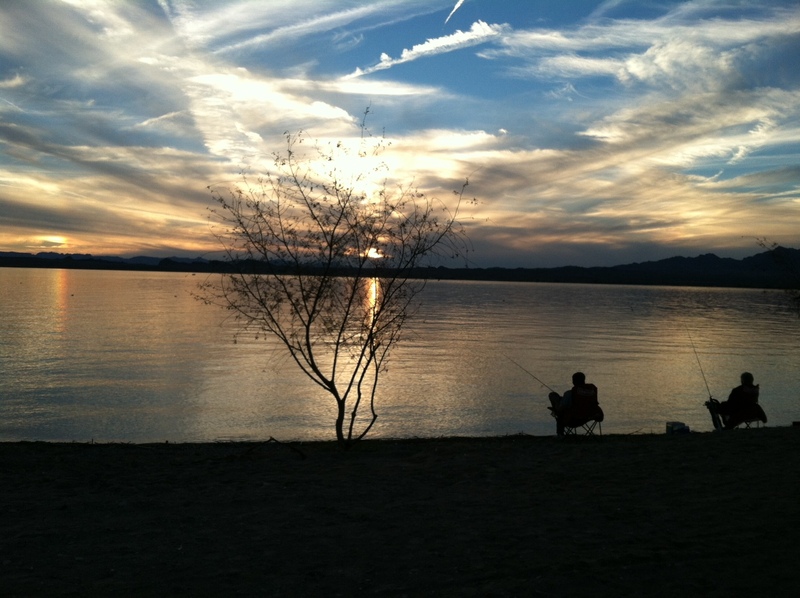 Not far from the eastern Oregon border lies western Nevada’s Pyramid Lake which seems to produce at least one 20 pound lahontan cutt each week during the winter months. As of Thursday, the NRCS (National Resources Conservation) reported snowpack, on a 30-year historic average, to be at 106 percent of average in the Owyhee sub-basin; 105 percent in the Malheur; 108 percent in the Grande Ronde, Powder, Burnt and Imnaha sub-basins; 107 percent in the Umatilla, Walla Walla and Willow sub-basins; 104 percent in the John Day; 83 percent in the Upper Deschutes; 82 percent in the Hood, Sandy and Lower Deschutes sub-basins; 81 percent on the Coast Range; 83 percent on the Willamette; 91 percent on the Rogue and Umpqua sub-basins; 94 percent in the Klamath and 105 percent in the Harney sub-basin. Comments Off on Pete Heley Outdoors 2 / 27 / 2019. CDFW to Host Public Meeting on Ocean Salmon. The meeting will be held Wednesday, Feb. 27 from 10 a.m. to 4 p.m. at the Sonoma County Water Agency, 404 Aviation Blvd., Santa Rosa. Anglers are encouraged to provide input on potential fishing seasons to a panel of California salmon scientists, managers and representatives who will be directly involved in the upcoming Pacific Fishery Management Council (PFMC) meetings in March and April. The 2019 Salmon Information Meeting marks the beginning of a two-month long public process used to develop annual sport and commercial ocean salmon fishing recommendations. The process involves collaborative negotiations with West Coast states, federal and tribal agencies, and stakeholders interested in salmon fishery management and conservation. 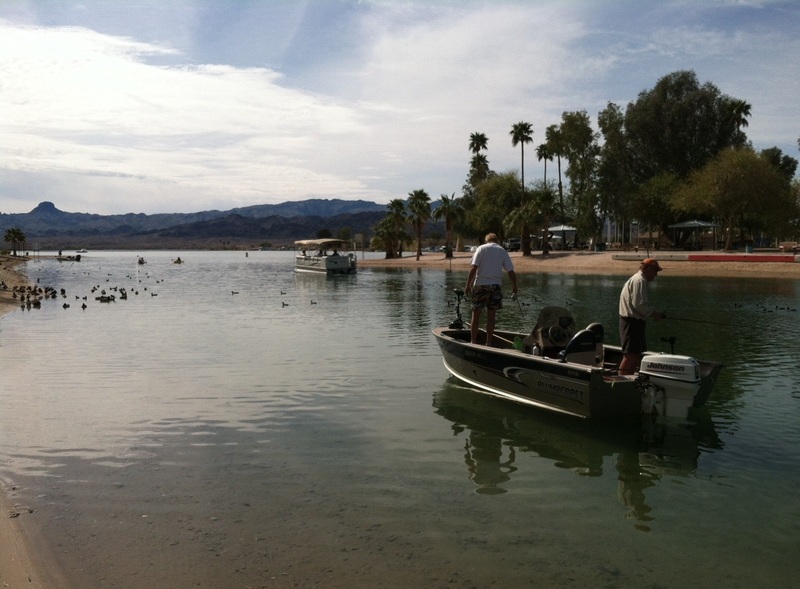 Public input will help California representatives develop a range of recommended season alternatives during the March 5-12 PFMC meeting in Vancouver, Wash. The PFMC will finalize the recommended season dates at its April 9-16 meeting in Rohnert Park, Calif.
A list of additional meetings and other opportunities for public comment is available on CDFW’s ocean salmon web page: www.wildlife.ca.gov/oceansalmon/preseason. The meeting agenda and handouts will be posted online as soon as they become available. ### The California Fish and Game Commission was the first wildlife conservation agency in the United States, predating even the U.S. Commission of Fish and Fisheries. There is often confusion about the distinction between the California Department of Fish and Wildlife (CDFW) and the Commission. In the most basic terms, CDFW implements and enforces the regulations set by the Commission, as well as provides biological data and expertise to inform the Commission’s decision-making process. Comments Off on CDFW to Host Public Meeting on Ocean Salmon. Mexican Wolf Update Through January. Past updates may be viewed on these websites. Interested parties may sign upto receive this update electronically by visiting azgfd.com and clicking on the E-news Signup tab on the top left corner of the webpage. In January, the IFT continued to document M1477 traveling with an uncollared wolf in a territory in the east central portion of the ASNF. In January, the Elk Horn Pack was located within their traditional territory in the northeastern portion of the ASNF. In January, the Hoodoo Pack was located within their traditional territory in the northeastern portion of the ASNF. Hoodoo m1677 was documented making dispersal movements in New Mexico and the central portion of the ASNF. In January, the Saffel Pack was located within their territory in the northeastern portion of the ASNF. In January, the Sierra Blanca Pack was located in their territory in the northeastern portion of the ASNF. In January, the IFT documented F1489 traveling in the north and east central portion of the ASNF. In January, the IFT documented M1574 traveling in the east central portion of the ASNF, the SCAR, and the eastern portion of the FAIR. In January, the IFT documented AM1382, of the Panther Creek Pack, traveling in the east central portion of the ASNF. In January, the Baldy Pack was documented traveling in the eastern portion of the FAIR and the north central portion of the ASNF. In January, F1679 of the Tu dil hil Pack was documented traveling in the eastern portion of the FAIR. F1679 was occasionally documented on the SCAR. In January, M1824 was documented traveling in the northwestern portion of the Gila National Forest in New Mexico. Copper Creek Pack (F1444)During December and January, F1444, the only wolf with a functioning collar in the Copper Creek Pack, was documented making wide dispersal movements outside the pack’s traditional range. During December and January, the Dark Canyon Pack was documented traveling together within their traditional territory, in the west central portion of the Gila National Forest (GNF). During December, the Datil Mountain Pack traveled within their traditional territory. In January, the Datil Mountain Pack male, M1453, was confirmed dead. The incident is currently under investigation. F1685 continued to travel in the western portion of the Cibola National Forest (CNF). During early December F1473 traveled within their traditional territory. In late December, the Hawks Nest Pack female, F1473, was confirmed dead. The incident is currently under investigation. With the death of F1473 and the death of AM1038 in November, the Hawks Nest pack is considered defunct and will not be reported on in future updates. During December and January, the Lava Pack was located within their traditional territory in the southeastern portion of the GNF. During December and January, the Luna Pack remained in their traditional territory in the north central portion of the GNF. Sub-adult female, f1684, continued to travel in the southeastern portion of the GNF. During December and January, the Mangas Pack was located within their territory in the northwestern portion of the GNF. During December and January, the Prieto Pack was located within their traditional territory in the north central portion of the GNF. In December, the IFT was notified that two wolves were potentially traveling with traps from a private trapper on their feet. A helicopter capture was immediately initiated and F1565 and m1669 were captured. F1565 and m1669 were placed under veterinary care. Unfortunately, F1565 died the first night under veterinary care. This case is under investigation. Male 1669 was transferred to the Rio Grande Zoo Veterinary Clinic for continued care, but the injuries sustained required the amputation of the leg. On January 23, M1669 was moved to Sevilleta Wolf Management Facility. The IFT has also documented m1678 traveling with the SBP pack in December and January. The IFT established a diversionary food cache for the Prieto Pack to reduce potential for conflict with livestock in January. During December and January, AF1553was confirmed traveling with Prieto m1678 in the traditional territory of the SBP pack in the north central portion of the GNF. Comments Off on Mexican Wolf Update Through January. 2019 PRE-SEASON PLANNING: OCEAN SALMON MEETING NOTICE: The 2019 Ocean Salmon Industry Group meeting (OSIG) is scheduled for Thursday, February 28, 2019. This pre-season planning meeting will provide a review of the 2018 seasons, take a first look at the 2019 salmon forecasts, and develop a set of Oregon preferred recreational and commercial ocean salmon season concepts via public input to take forward through the Pacific Fishery Management Council (PFMC) regulation setting process. The OSIG meeting will be held at the Shilo Inn, 536 SW Elizabeth Street Newport, OR. The OSIG meeting is open to all ocean sport fishing anglers and charter operators, commercial salmon troll fishers, and others interested in participating in the development of the 2019 ocean salmon seasons. Staff from ODFW will provide background materials and presentations and then work with meeting attendees to develop preferred season alter-natives to use as guidance moving forward through the Pacific Fishery Management Council’s season setting process. Doors open at 9:30 AM, with presentations scheduled to start at 10:00 AM, and conclude by 3:00 PM. There will be a lunch break between 12:00 PM and 1:15 PM. Links to the agenda and briefing materials for the meeting will be posted on www.dfw.state.or.us/mrp/salmon/ as they come available.The first of the two salmon season setting meetings by the Pacific Fishery Management Council (PFMC) will be held at the Hilton Vancouver Washington (301 W. Sixth Street, Vancouver, WA) from March 5-12. This first PFMC meeting in Vancouver will establish a range of alternatives for further review. The final season setting meeting will occur at the DoubleTree by Hilton Sonoma in Rohnert Park, California (One DoubleTree Drive, Rohnert Park, CA) from April 9-16. More information on these meetings can be found at the PFMC’s website. WDFW confirms case of elk hoof disease in Blue Mountains of Walla Walla County. Test results from an elk shot by a hunter in Walla Walla County have confirmed the presence of elk hoof disease, known scientifically as treponeme-associated hoof disease (TAHD). A muzzleloader hunter shot the cow elk on Jan. 17 in the Pikes Peak area of the Blue Mountains. After noticing that the hooves were deformed, he submitted the hooves to the Washington Department of Fish and Wildlife (WDFW). Samples were submitted to the Washington Animal Disease Diagnostic Laboratory at Washington State University, where TAHD was confirmed through diagnostic testing. WSU’s veterinary college is where the state has based a program to monitor and research elk hoof disease. First documented in the early 2000s, TAHD has since spread to 14 counties in Washington, and has been found in Oregon and Idaho. Last April, WDFW confirmed the presence of the disease in Klickitat County  the first such finding in Washington state east of the Cascade Range. The disease causes hoof deformities, which can make elk walk with a pronounced limp. Elk may eventually slough the infected hooves, threatening their survival. There is currently no vaccine to prevent TAHD, nor are there any proven options for treating it in the field. There is no evidence that the disease affects humans. Kyle Garrison, WDFW hoof disease coordinator, said the department plans to increase efforts to identify other diseased elk in the Blue Mountains, and will look for limping elk early next month during scheduled aerial surveys. State wildlife managers are also asking hunters and other members to report any observations of limping elk, or elk with abnormal hooves via WDFW’s online reporting tool at https://wdfw.wa.gov/conservation/health/hoof_disease/. “We have been monitoring this area fairly intensively for the past four years, and have never before confirmed an elk with the disease,” Garrison said. Testing conducted in 2014 identified treponeme bacteria in lesions from affected elk, suggesting the disease can be spread between animals and by contaminated materials, explained Margaret Wild, a veterinarian and WSU elk hoof disease research leader. Comments Off on WDFW confirms case of elk hoof disease in Blue Mountains of Walla Walla County. Pete Heley Outdoors 2 / 20 / 2019. Winter steelhead are in all of our local streams and fishing success depends on stream conditions in most cases. Two streams that never seem to muddy up are Eel Creek and Tenmile Creek. Eel Creek is extremely “snaggy” and difficult to fish, while Tenmile Creek is the exact opposite and relatively easy to fish and Tenmile Creek has been hot for the last few weeks with fish to 18 pounds taken. Almost all the finclipped, keepable steelhead that ascend Tenmile Creek only do so as far as Eel Creek and then swim up Eel Creek as far as the STEP fishtrap just below Eel Lake. Some of Eel Creek’s steelhead actually spawn in the stream before reaching the fishtrap and some of the preferred spawning sites are inside the several culverts on the stream. But right now, possibly the easiest place to actually land an Eel Creek steelhead would be to fish Butterfield or Saunders lakes, both of which received a healthy dose of Eel Creek steelhead last week via STEP volunteers at the Eel Creek fishtrap. 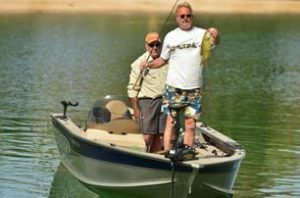 Both lakes also contain largemouth bass, yellow perch, crappies and bluegills and Butterfield Lake even has a very few warmouth sunfish. The heaviest steelhead reported recently was a 22 pound finclipped buck fron the South Fork Coquille River. A final reminder about the annual “Lower Umpqua Flycasters Flyfishing Expo” this coming Saturday from 9 am until 3 pm. The location is the Community Center in Reedsport located at 451 Winchester Avenue. Despite the “free price tag” this is not a “rinky dink” show as it features flytying and flycasting demonstrations as well as informational displays by various stream and fish enhancement groups. Food concessions will be present so there is no reason not to make a “half-day” of it and really check it out. After checking out the Flyfishing Expo, a short drive to Lakeside will give you a chance to watch the weigh-in for the “Frostbite Open”, one of the most highly regarded bass tournaments in the Pacific Northwest. Despite the often frigid temperatures, the participating anglers have frequently surprised the viewing public with the numbers and sizes of the bass they catch. However, the recent really cold temperatures should provide an especially tough test. The next couple of weeks should offer the season’s best chance to catch a humungous egg-laden Columbia River Walleye. While most of the early season lunkers are caught below The Dalles, John Day or McNary dams, an angler that could consistently find early season walleye below Bonneville Dam or in the Portland area could become a legend. While big walleyes are caught in these areas, it never seems to happen before June. While crabbing has definitely slowed down, Winchester Bay’s South Jetty was fishing really good for lingcod just before the Umpqua River muddied up. Expect the good fishing to resume once the lower river clears slightly. While the first spring chinook salmon have already been caught in the Columbia and Willamette rivers one can reasonably expect the first springers to be caught on the Rogue and Umpqua rivers over the next weeks. In most years, the date of the earliest springer catch is as dependent upon how many anglers are actually fishing for them as it is on how many salmon are actually in the river. Let’s hope it’s a good season. According to an article in “The Columbia Basin Bulletin”, more than 1 million adult coho salmon are expected along the Oregon coast and Columbia River in 2019. Some 905,600 of those are forecasted to enter the Columbia. That’s much higher than the 2018 forecast of 349,000 fish (286,200 of those turned into the Columbia) and far more than the disappointing actual run last year of 230,700 fish (147,300 into the Columbia). The 10-year average is 416,100 fish. According to Stuart Ellis of the Columbia River Inter-Tribal Fish Commission and a member of Oregon Technical Advisory Committee -“The increase is due to what we think are some better ocean conditions especially off the Oregon coast and some better jack returns,” he said. NOAA Fisheries’ Office of Law Enforcement is offering a reward of up to $20,000 for information that leads to a civil penalty or criminal conviction in the shootings of California sea lions in and around West Seattle. More than 12 sea lions have been confirmed shot in Washington’s King and Kitsap counties since September. Who would have thought that when Steve Godin and several area members of the Coastal Conservation Association (CCA) decided to part ways with the CCA and form their own angling group, they would be so successful. But that is the only way to describe the resulting fishing club. The Oregon Coast Anglers (OCA) has undertaken numerous local fishing-related projects over the last several years and this year has started a “Conservation Scholarship Fund” which offers $500 scholarships to students graduating from local high schools in 2019. The only requirement is that the scholarship recipients plan to pursue their higher education in majors that relate to conservation of the earth’s resources. The Oregon Coast Anglers has endowed the scholarship fund with $3,500 and the high schools that are included in the program include: Bandon; Elkton; Mapleton, Marshfield, North Bend; Reedsport and Siuslaw (Florence). For more information on the scholarship program, other OCA projects, or joining the OCA, please call Steve Godin at 541 – 255 -3383. Comments Off on Pete Heley Outdoors 2 / 20 / 2019. Winchester Bay Lingcod Fishing Improving. Fishing for lingcod out of Winchester Bay continues to improve – and the proportion of big ones has increased. Pictured below – Toland Anderson holds up a 38# lingcod. – photos courtesy of Bryan Gill and “The Umpqua Angler Guide Service”. Comments Off on Winchester Bay Lingcod Fishing Improving. 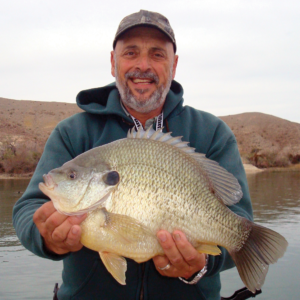 Lake Havasu’s Giant Redear Sunfish. Robert Lawler of Lake Havasu City with what was a potential world-record, 5-pound, 7-ounce redear sunfish caught in 2011 from Havasu. Brito’s world-record 5.78-pound redear sunfish from 2014. A pair of big redear sunfish captured during AZGFD’s November, 2018 survey at Lake Havasu. During AZGFD’s fall, 2016 Havasu survey, the biggest redear sunfish captured (left) was 2.5 pounds. 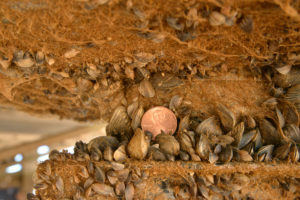 Still, some Arizona anglers have etched their conclusion: The increasingly larger sizes of redear is a quagga-based phenomenon. Comments Off on Lake Havasu’s Giant Redear Sunfish. Comments Off on Pete Heley Outdoors 2 / 13 / 2019.